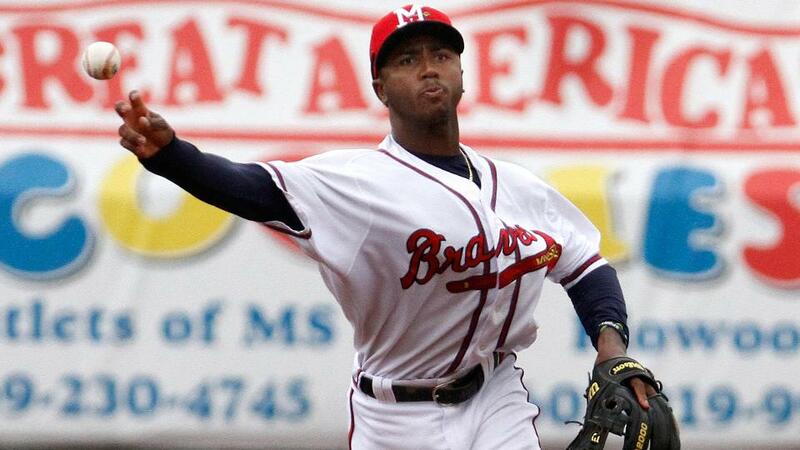 PEARL, MS -- Infielder Ozzie Albies was named Southern League Player of the Week for the week ending Sunday, July 10. In seven games during the week, Albies posted a .448 batting average with a double, triple, homer and four RBI. He also swiped two bases. Albies, 19, is the Braves No. 6 prospect and also ranks among Baseball America's Top 100 at No. 63. In 33 games with the Double-A Braves this season, Albies is hitting .397 with eight doubles, three triples, two homers and 11 RBI. He's hitting .556 against southpaws. Tagged the "Best Infield Arm" among Braves minor leaguers, the Curacao native started the season at Mississippi but went to Triple-A Gwinnett at the end of April. In 56 contests, Albies was hitting .248 with 16 extra-base hits and 20 RBI before rejoining the M-Braves June 30. The shortstop was signed by the Braves as a non-drafted free agent on July 2, 2013.